How many of you use the popsicle sticks with the names to call on students? I do, too! And, I still like that method because it's quick and always readily available, but doesn't this app look like fun??!! Imagine everyone sitting at the edge of their seats waiting to see if they get picked! My students love it! 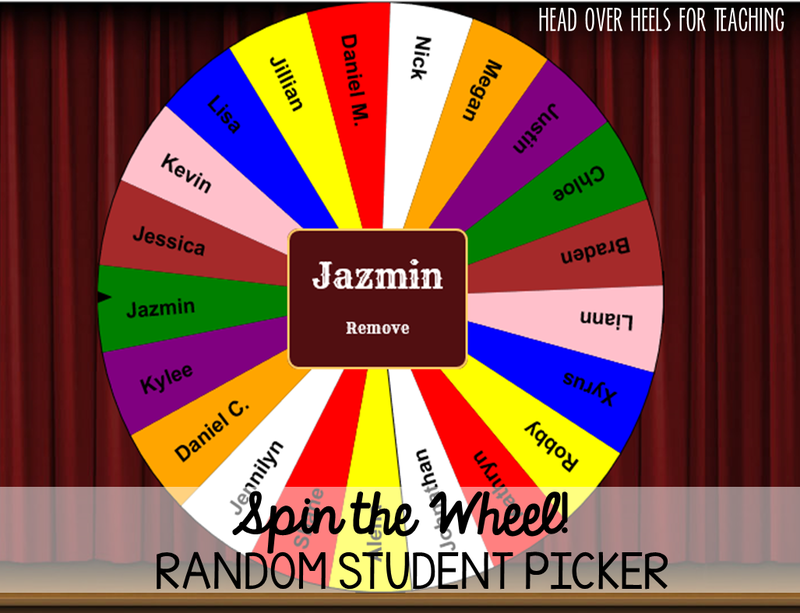 When we're doing a lesson, they're asking if we can spin the wheel! I don't use it all the time, but it definitely adds interest and excitement to any lesson! I love when it lands on a student and they say, "YES!!". What I don't like is when they see their name pass and say, "Phew", like they're off the hook (which is why I wouldn't use it all the time). However...I have tricked them! 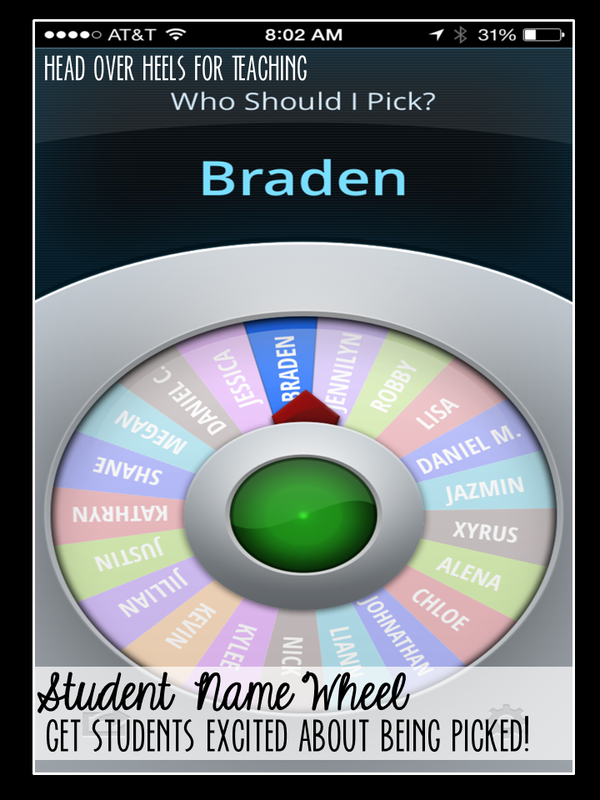 After the person is selected on the wheel, I tell them to pick someone else in the class!! Tricky, right? We have to keep these kids on their toes! 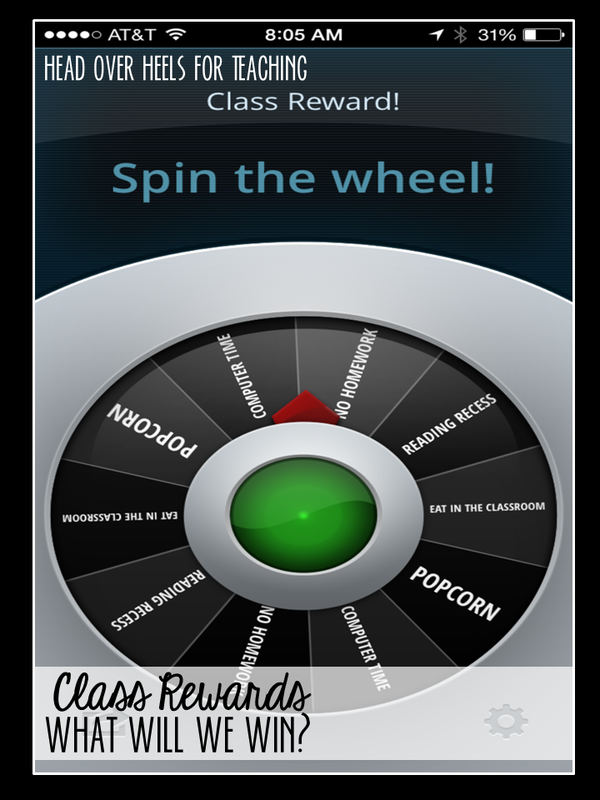 The possibilities are endless...class rewards (shown below), assignment choices, next read aloud, decision breakers, class jobs, amount of minutes to spend on a fun activity, etc. This is an app called Decide Now, I paid the $0.99 upgrade to have more features, there is a free version though. Because it's an app, I have to hold the phone under my document camera so everyone can see it. However, it's nice to be able to "carry" it wherever you go! I also like this wheel from ClassTools.net. This can be displayed on your smart board so everyone can see! Quick and easy...only takes seconds to input your names! The spinning and sound effects make these tools for your classroom SUPER FUN! I'd love to hear what you think about it! How would you incorporate this in your classroom or how do you already use this gadget? I use this app in my class, too! I love the idea of having them pick someone else to change it up. I really like to use it when the students have to present to the class or share their writing because no one ever wants to go first! This is SO great! I'm going to use the Smartboard one!! Your students must LOVE being in your class; I always get the best ideas from you!! I use this app, too! I love it, and so do the kids. So much fun! I just downloaded the Decide Now! app. I can't wait to use this in my classroom. My students will love it. I love how you mix it up and have the student pick another. 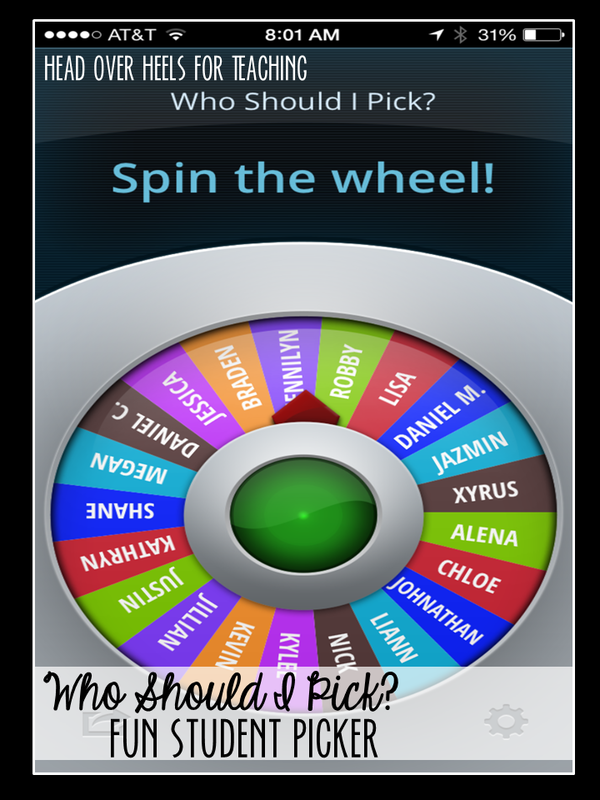 I am thinking you could also pick the student to left or right of the spinner. The possibilities are endless. Thanks so much for sharing. This app does look like fun - I especially like how you used it to pick a reward! What a neat app! Thanks so much! Thanks for sharing Joanne! I have been looking for something like this for my classroom.